Various people have tried to answer this question. 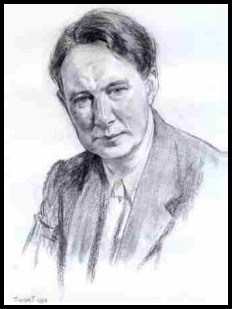 These include Julian Smith in his biography of Nevil Shute and several people at events held at Albuquerque, Langwarrin and Portsmouth to commemorate this great author. I would specially recommend the talk by Doctor Elizabeth Davidson on Paranormal Concepts and the talk by Johann Bakker on Spiritual Concepts if you have access to the tapes from Albuquerque. May I try to answer the question by asking ourselves what his experiences of faith were and how they came to be used in his writings? Bruce McDonald, who has done a lot of research into the Norway family, says that historically they were all baptised and married into the Church of England (C of E). Nevil's father was baptised and then married in the C of E so it is almost certain that Nevil and his brother Fred would have been baptised in the C of E but there does not seem to have been any regular family attendance at church. For the remainder of my time at Shrewsbury I don't think that I had the slightest interest in a career or any adult life; I was born to one end, which was to go into the army and do the best I could before being killed. The time at school was a time for contemplation of the realities that were coming and for spiritual preparation for death, and in this atmosphere the masculine, restrained services in the school chapel under Alington played an enormous part. In that chapel he heard the hymn sung that had been written by C.A. Alington the Headmaster "The Lord of Hosts our King shall be". It had originally been written for the coronation of King George V but came to be used as a war hymn. This must have had quite an effect on young Nevil as he remembers it years later to quote a verse from it as the prologue for In the Wet. I have been privileged to see a copy of Shrewsbury Fables . This is a collection of addresses given in Shrewsbury School Chapel by C.A. Alington (published by Longman's Green and Co in 1918). Each is dated so I have been able to read addresses which young Nevil will have heard in that chapel. All are imaginative stories to which the boys would almost certainly listen and each has a deep connection to the Christian faith. Their titles include " The Recruiting Office", "The Draft", "A Conversation" and "The Chapel Bazaar". The book also tells us that the sermons printed were either preached on "Confirmation Sunday" or at the "End of the Summer Term". Thus it is almost certain that Nevil Shute Norway would have been expected to be Confirmed while at the school. How many of us have quoted the whole verse of a hymn to back up what we are writing about? What happened in that chapel certainly had a deep effect on our author. One other account of anything like a religious experience mentioned by the author in his autobiography is the time when he was in the army at the end of the war in 1918. He tells us "Whatever capricious Fate decides the course of one's life was careful in my case to see that the transition to the merry world opening before me was by way of a series of funerals". He was to be part of a funeral party with a gun carriage and a dozen men to conduct military funerals. This because of a terrible epidemic of influenza which was ravaging the country and even claiming the lives of soldiers who had survived the war. And yes, there is one occasion when he uses the phrase "like a religious experience". This is when, after a long laborious mathematical computation, using a slide rule, lasting two or three months a true solution to the forces in each transverse frame of the R100 could be guaranteed. He takes two pages to describe this in detail. In his biography of Nevil Shute, Julian Smith tells us that when Nevil Shute was living in Australia he went to church on one Sunday each month. What is there in the prologues and texts of his various novels that give us any idea of his beliefs? Marazan has as its prologue a verse from Rudyard Kipling's poem "The Sons of Martha" which is based on the story of Martha and Mary in St Luke's gospel. Captain Stenning has a saying in which he puts a lot of trust "Just take what you can get and be thankful" and we get a quote from Hassan.